One week old BABY CORN! Grown on my apartment patio! I hope you have been finding lots of great ideas on my St.Patty’s Day Nail Art Ideas post! Today is going to be a quick post, as I will be continuing to update the St. Patty’s Day Ideas Post as well as the Spring and Easter NailArt Ideas post because I have been getting a lot of emails and suggestions for videos and tutorials to add! Make sure to post them on my Facebook wall, (link on the top left!) if you stumble onto (or make!) something you think should be on these posts! 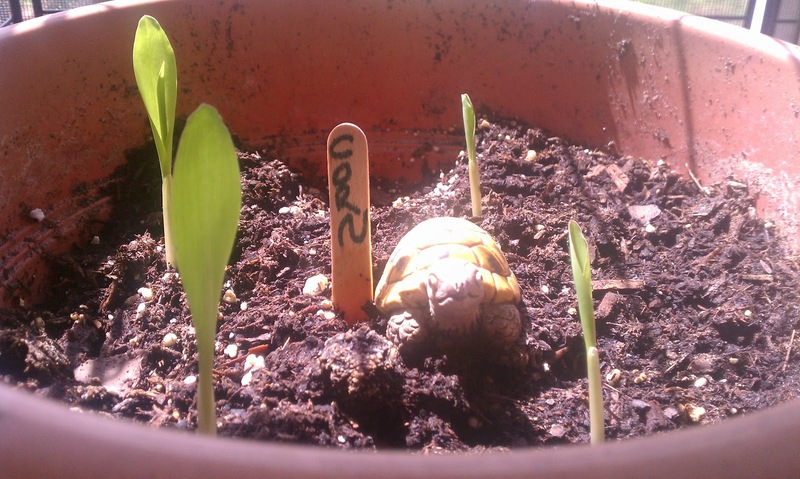 For my fellow apartment gardeners, look at these itty bitty baby corn! They are just one week old! 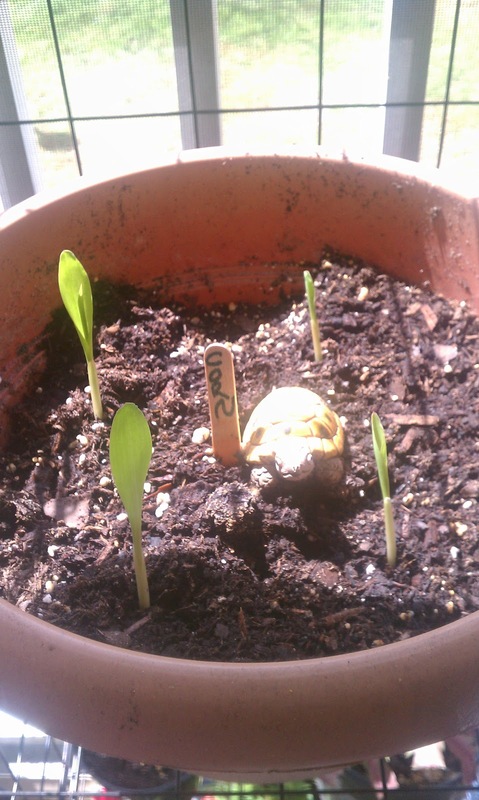 I literally just stuck some seed cornels in some dirt and hoped one of the four would grow! I guess this makes them number 17 on my list of things growing on my apartment patio right now! If you are interested in seeing some of my other plants, check out my recent post here that has lots of pictures and descriptions of what I have. You’d be surprised what you can fit on a patio garden! I am just a beginner and look at all the plants I am experimenting with.